If we are not showing the belt that you require in stock, please contact us and we will manufacture one for you. 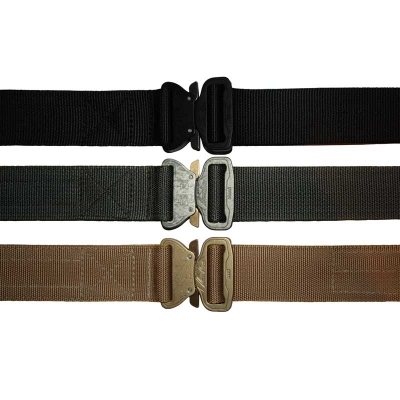 The issue with many combat belts such as the Blackhawk CQB Riggers belt or the 5.11 Tactical Operator belt is that you have to keep adjusting it for size and threading the tie-off end through your combat trouser loops. 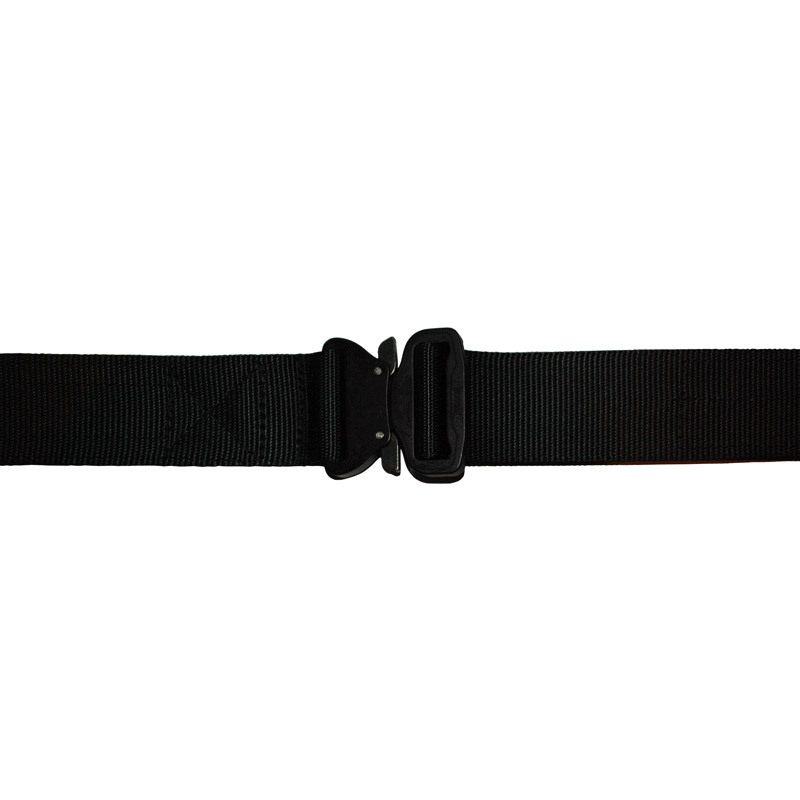 We decided that our belt would allow for adjustment but would also allow for quick and silent release. 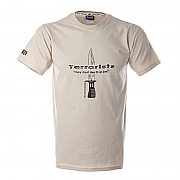 Weight is also an issue and as anyone who has ever been in combat will know, reducing weight is everything. 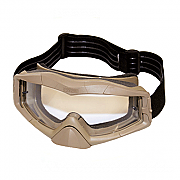 Intelligent Armour has added a few options to enable the wearer to customise the belt to suit tactical operational requirements and theatres of operation. 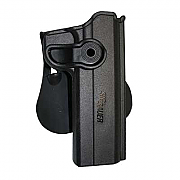 Stiffness - it is now an option to have either a regular Combat Holster Belt that has been stiffened to take holsters, or to have the same belt but without the stiffness. 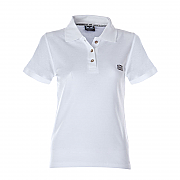 For the soft non-stiffened option, this is made to order only and will take in most cases 7-10 days. Velcro Loop - some clients have asked that we add extra Velcro, Loop to the inside of the belt. This is to aid slip when used with holsters and thigh rigs (Hook Velcro is added to the strap that loops through the belt to stop any slippage). 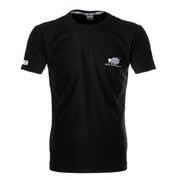 This option is now available for an extra £4.50 and is made to order only and will take in most cases 7-10 days. 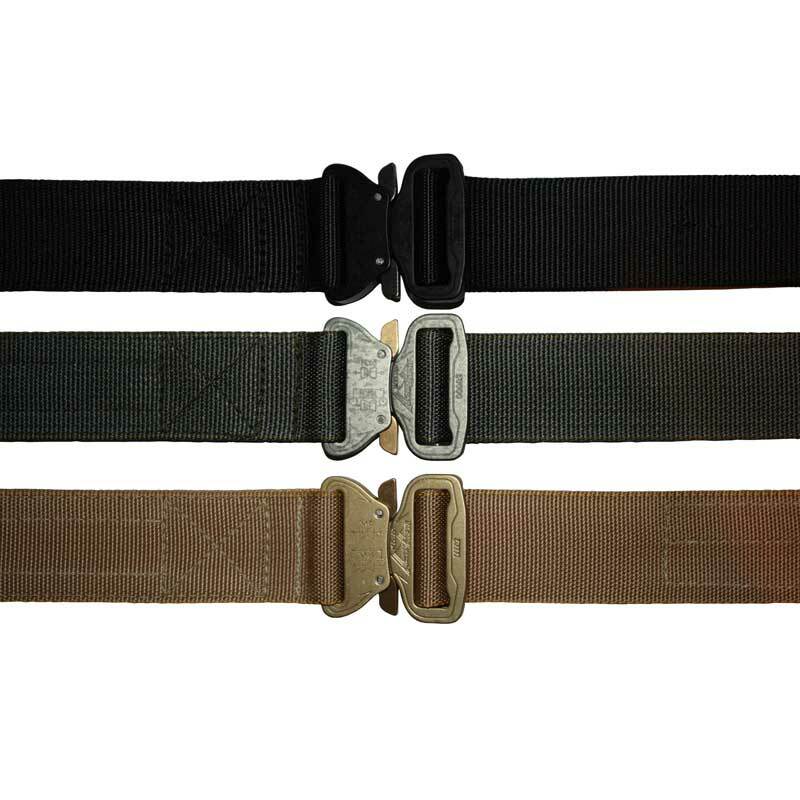 The IA Combat Holster Belt is available in four webbing and four Cobra buckle colours. 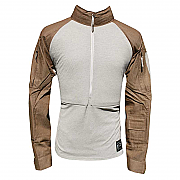 The colours available are: Black, Tan, Foliage Green and Olive Drab Green. 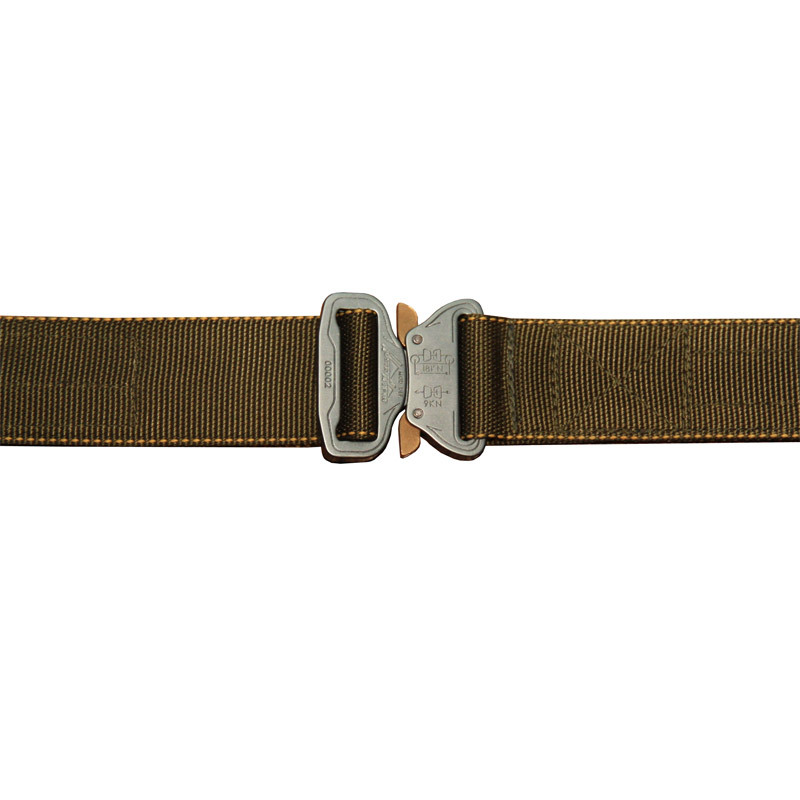 For best colour match with Multicam or UK MTP army issue clothing, we recommend the UKSF Riggers Belt in either Tan or Foliage Green. 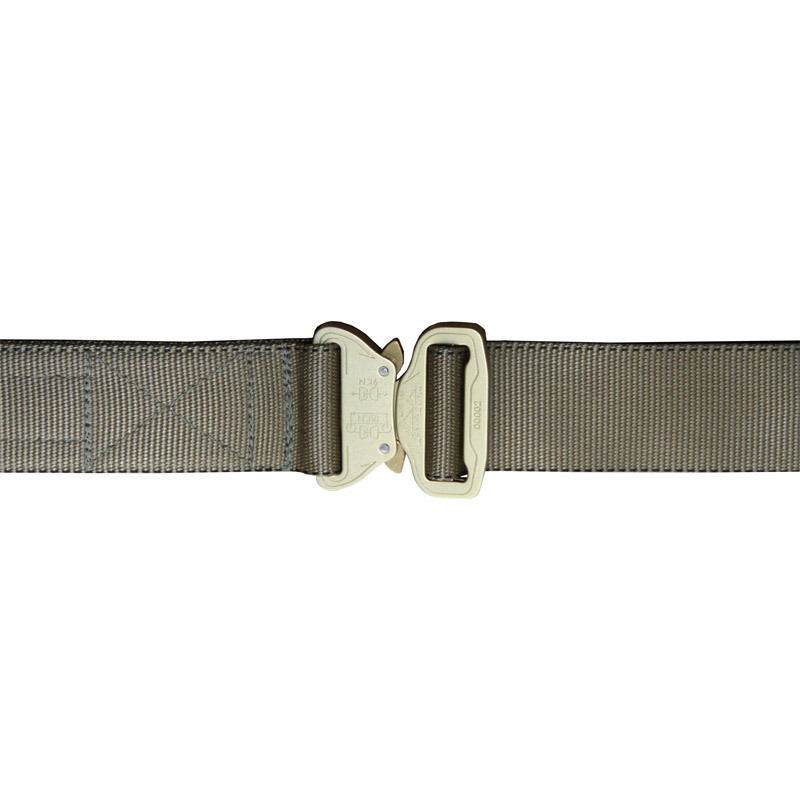 With the feedback that we have had about other holster and riggers belts, we have stiffened the IA Combat Holster Belt to provide support for leg hip or thigh mounted holsters or pouches. Ideal for infantry and Special Forces use, the IA Combat Holster Belt is designed as a load bearing belt, for when more support is required. 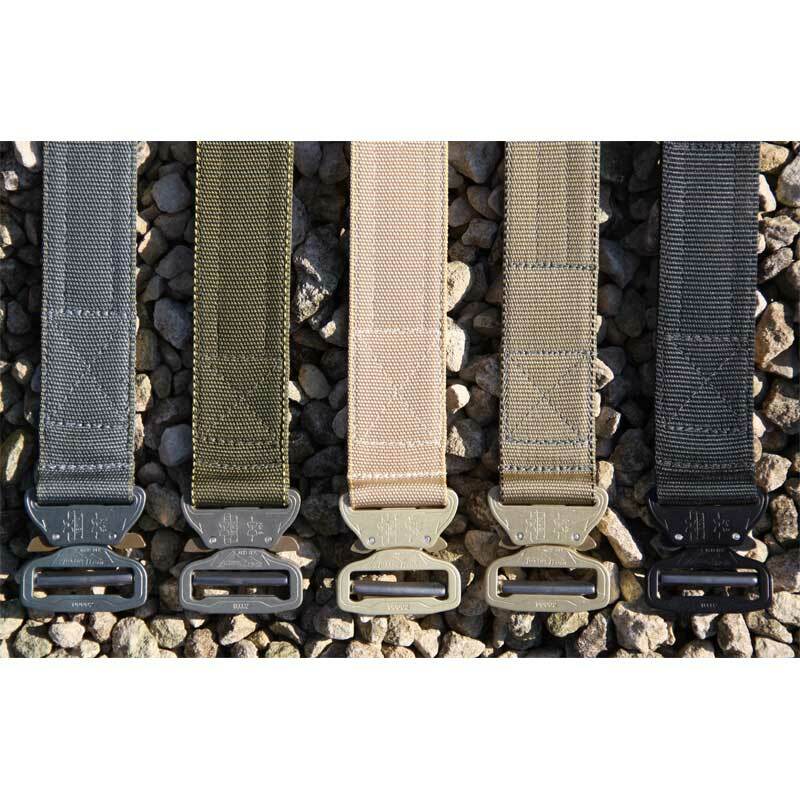 Having looked at both the Blackhawk CQB Riggers Belt and also the 5.11 Operators Belt, we decided that the best possible combination of materials were military specification webbing; type 7 with a tensile strength of 6000lb. The IA Combat Holster Belt has been sewn with military grade type 69 nylon bonded thread; this thread provides superior strength while resisting rot and mildew. What can i say apart from this is a great belt. for everyday trouser holding up duty and light kit I use a Rigger belt but I was looking for something more heavy duty for Dynamic Entry/Ops work. This belt fits that bill exactly, other tactical pistol belts Ive used have been rigid but difficult to quickly adjust to fit over different types of uniform for different roles. 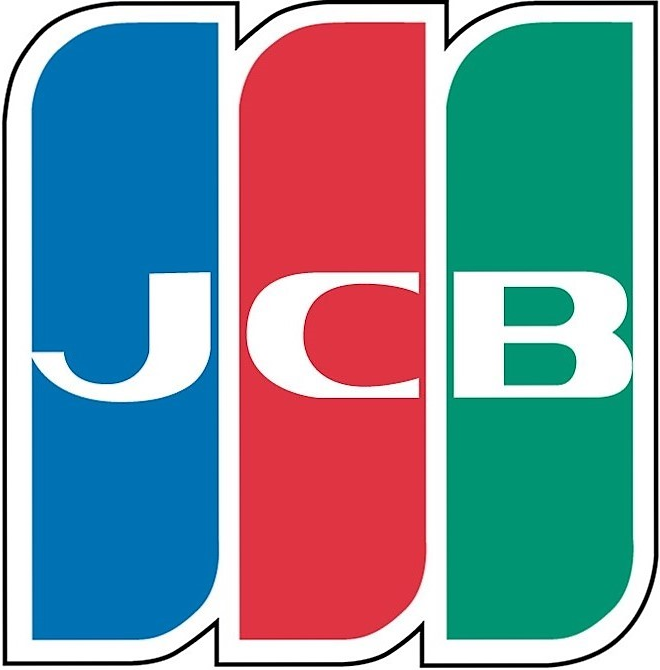 The belt is made from top spec materials to the highest quality. It is rigid enough to take a loaded drop holster and thigh rig without distortion and you can alter it in seconds to fit over overalls or trousers as required. 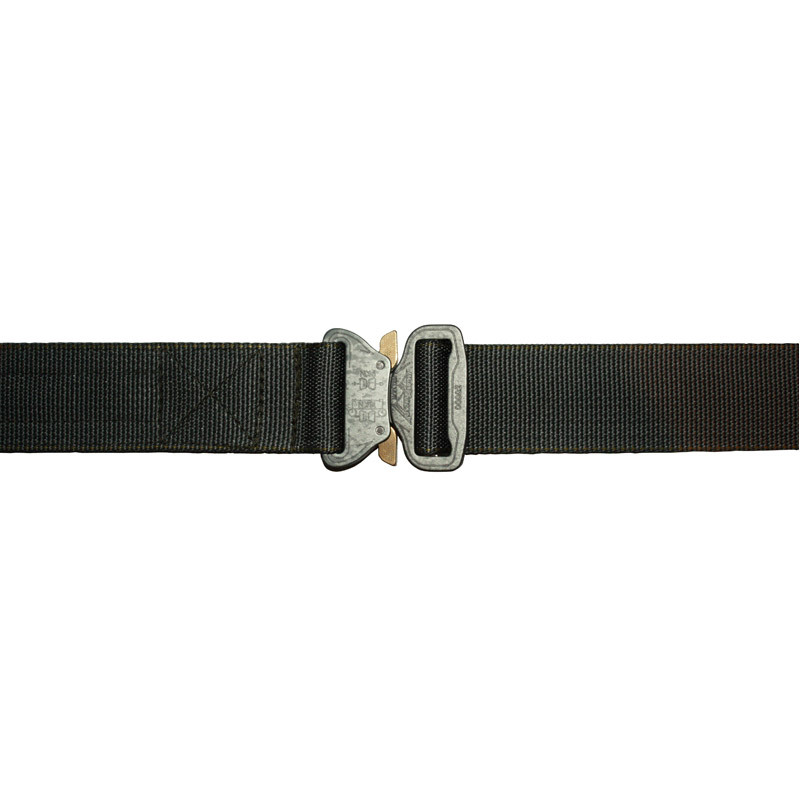 The buckle is secure, bombproof and simple to release unlike the plastic alternatives. 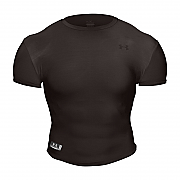 Great product everything you need in a pistol belt. I have been using the IA Combat Holster Belt for about 3 months now in an armed Policing role, primarily as a pistol belt, carrying a Safariland holster, double magazine pouch, multi-tool and small torch (I don’t like a lot of gear on my belt, as I spend quite a bit of my time in vehicles). Although designed as a quick release belt at which it excels, I require a level of retention, so I added a slip-on buckle cover to address that. Despite the quick release ability, the Austri Alpin Cobra buckle is very well engineered, easy to operate and extremely strong. On first examination I was struck by the contrast with a conventional duty belt, the IA item having considerably less weight and bulk, but every bit as rigid, with the intentional exception of the last @30cm of the belt that carries the male portion of the buckle and folds back against itself, being secured by Velcro(more of this later). On first donning the belt I was impressed by the sheer comfort of it due to the minimal bulk. I really didn’t feel conscious of the belt itself, only the items I hung on it. I certainly didn’t over- stretch it load-wise, but it is clearly very robust, constructed of quality materials, and extremely well put together with good, strong stitching. 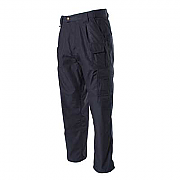 I initially used it with a belt mounted holster and it was very good, and having to adjust it for length over different thickness layers of clothing was far easier than a conventional buckles and sliders setup, which effectively means having to take a conventional belt apart each time you want to adjust it for length. This is a major plus in my book, the non-rigid portion of the belt making it quick and easy to adjust to exactly the length you want. 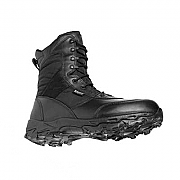 Whilst I had the belt, my department changed to drop-leg thigh holsters which the IA belt coped with admirably, although I have switched back to my preferred option of belt mounted. As with any belt of this type I find using belt keepers on my trouser belt an advantage to stop the pistol belt riding up when drawing the pistol. Something else that has struck me about this belt is despite having worn it for some time now in varying wet and dusty conditions in the field and in and out of vehicles, other than a little wear on the finish of the quick-release bars, the belt still looks like new and has zero distortion. I have also given it a try in a shooting competition environment carrying magazine pouches and Fastmag holders. 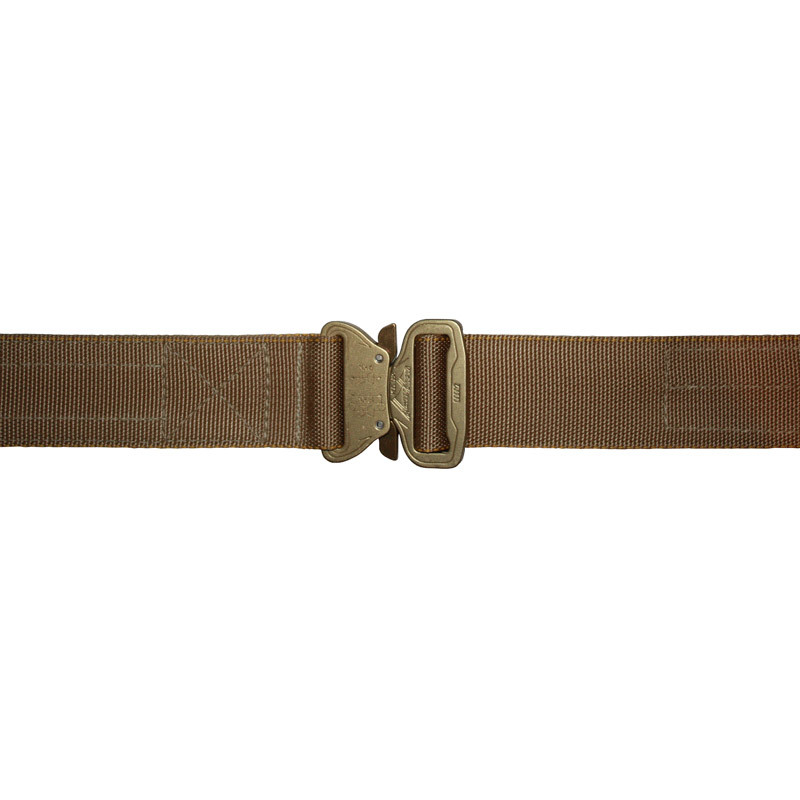 Here, again the belt excelled in its performance and flexibility and would be a promising consideration for the discerning competitive shooter looking for a good quality load bearing belt. 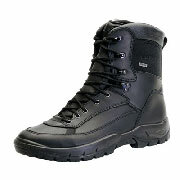 In all, a very high quality product offering good value in its comfort and versatility. It has more recently given rise to both the CT Team Operators Belt, and the Blast Belt, both of which look equally promising.